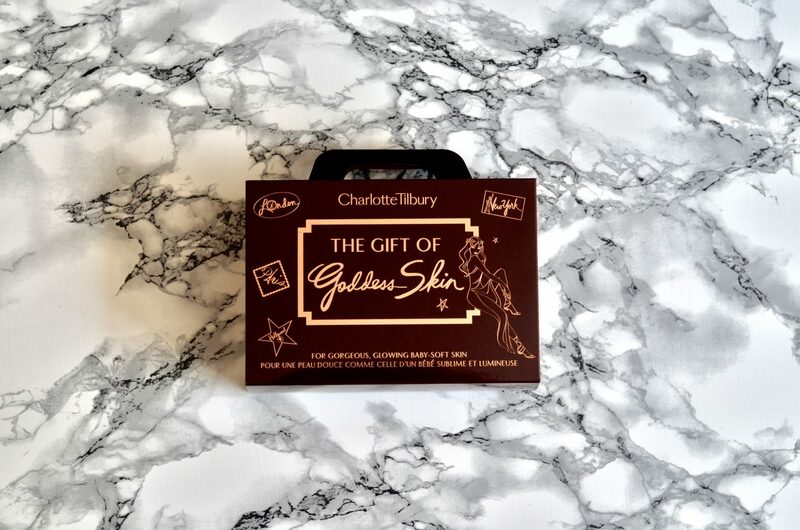 CHARLOTTE TILBURY THE GIFT OF GODDESS SKIN - My name is Lovely! Hello darlings (sorry could ‘t resist) just adore how Charlotte Tilbury addresses everyone as ‘Darlings’. It’s so endearing and makes you feel so inclusive! 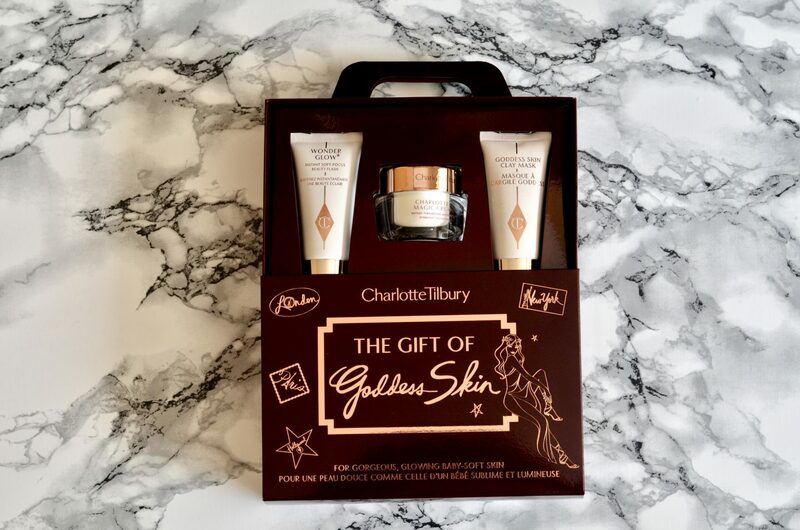 So I was gifted this cute little travel gift set by my gorgeous sister, she knows how much I adore Charlotte Tilbury products and have yet to purchase these skincare delights. A great way to test them out before committing to the full sizes and ideal for those who are trying these skincare wonders for the first time. The packaging is just beautiful and comes in this mini travel suitcase. So after using the products for a few weeks I thought I would do a review of them. The products in this gift set are rather small but for a travel sized gift set you can’t go wrong. GODDESS SKIN CLAY MASK: I am not a regular mask person, however I like to try them out now and again so can be picky when it comes to choosing a mask. I was a little sceptical to begin with about how good this mask was going to be. After trying out the Goddess Skin Clay I was pleasantly surprised. This clay mask is just amazing, it has a great smell, I would say it smells like roses and it feels wonderful when applying it. After leaving it on my face for about 30 minutes I then gently wash it off with lukewarm water. It leaves my skin feeling so much healthier, smoother and very soft to touch. MAGIC CREAM: Now this is one product I have been wanting to get my hands on. I have heard so much wonderful things about it and could not wait to try it out. I was so excited that the Magic cream is what I used straight away once I had opened the package. It has quite a thick consistency so you really don’t need that much to apply all over your face. It feels great on my face and just feels fabulous applying make-up on top! Although the cream is rich, it absorbs quickly into my skin leaving it feeling hydrated in a matter of seconds. The actual size (50ml) of the cream is rather pricey, but I do think its worth it as you don’t need a lot of the product and it should last you a long time. This small (15ml) gift size one I have been using for the past three weeks will last me for about three to four months. I use a pea sized amount morning and night. I will for sure be purchasing the larger size once this is finished. 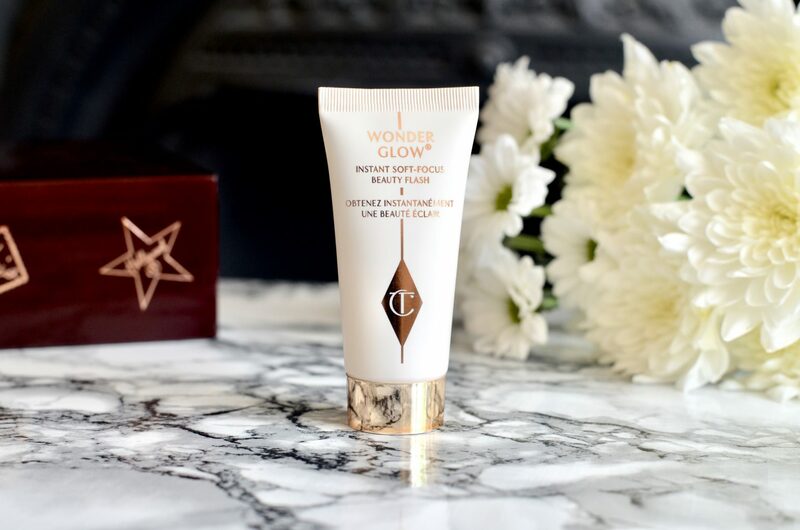 WONDER GLOW: After applying the magic cream I apply the Wonder Glow and then my make-up on top. I also just wear it on its own on top of the Magic Cream and it leaves my skin looking dewy. I tend to do this on my morning school run. Not having to apply my foundation saves me some time! Always a bonus when your trying to get the boys ready and out the door. 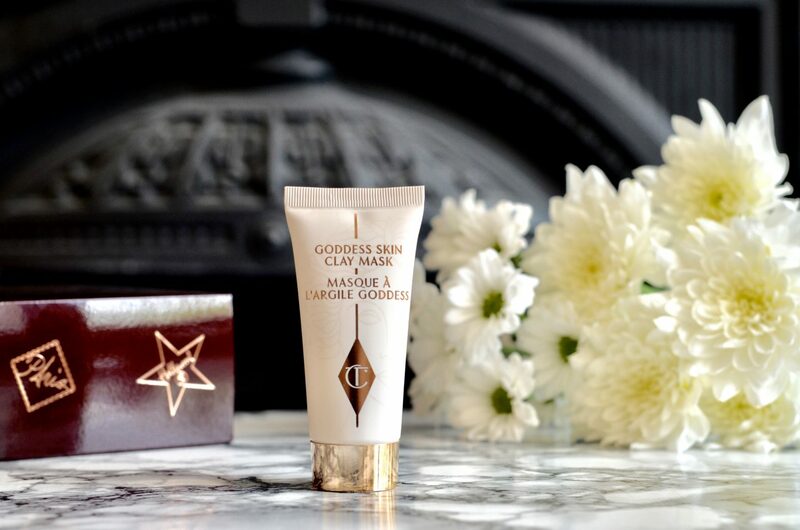 This is what Charlotte Tilbury has to say about the product. ‘State of the art fluorescent core light diffuser absorbs UV particles from the sun and reemits their energy as visible light, illuminating your skin. Soft focus ceramic microspheres smooth over wrinkles and imperfect skin tone, creating an anti-ageing optical illusion for a flawless, poreless complexion.’ I don’t have noticeable pores so can’t really comment on whether it gives you a poreless complexion or not, however it does leave my skin glowing! I am certain I shall be purchasing this product too. 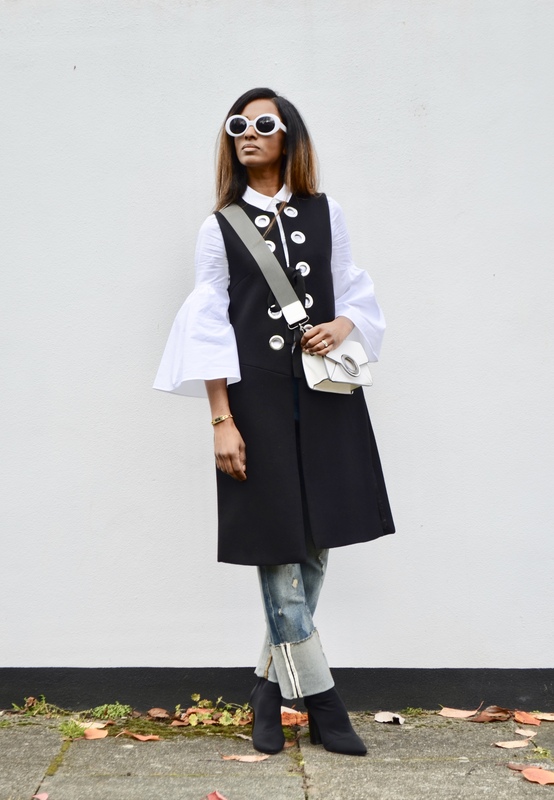 Thank you so much for stopping by to read my beauty post. 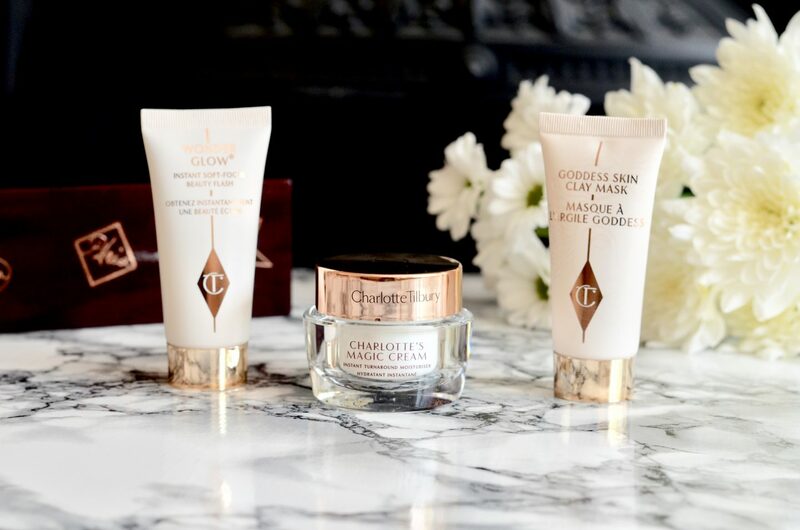 What do you make of this Charlotte Tilbury travel gift set? 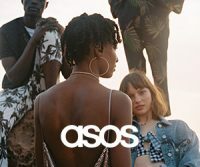 Have you already tried these products? What do you think of them? Please do leave a comment below. 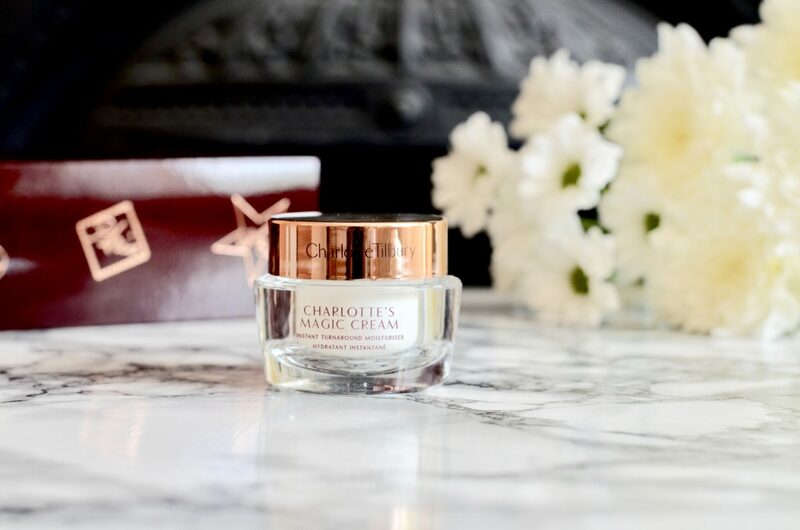 I haven’t tried any of the skincare products of Charlotte Tilbury only their makeup! I love trying new masks and the clay mask sounds good! Might have to give it a try. You should try out the mask and let me know what you make of it. Thanks and have a fabulous weekend. Love travel size sets like these. 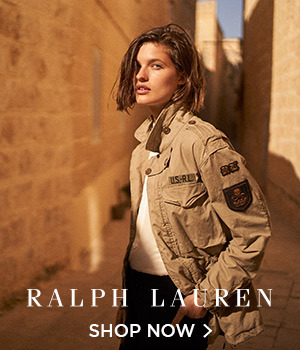 They’re perfect if you’re trying a certain brand for the first time. I know its great for trying out products for the first time. Thank you so much and have a fabulous week! I love Charlotte Tilbury makeup but have yet to try her skincare. I’ve heard such great things about these. On my wish list. Great to hear it hun, and thank you! My next purchase is going to be the make-up, thank you so much Heather! These travel sized ones are perfect for trying out for the first time. Thank you so much hun! I love the quality of CT products so yes to travel sizes! I know hun, how cute they are too! Mmm, I’m so curious about that Magic Cream! Need to try it out! Out of the three I would say this is one you should try out! That stuff sounds so good! The magic cream sounds awesome. It is Courtney and thank you! Travel sizes are so cute! Love this post, your photography is wonderful! Travel sizes are the best especially to still have a great routine when travelling. Yes absolutely Margot, they are so handy! This sounds like a great travel set with so many nice products! I think it is hun. I always love travel sized skincare products since they are so easy to carry when I make my gym run on a regular basis. My skin has became drier after aging and I am always on the search for good moisturizer. 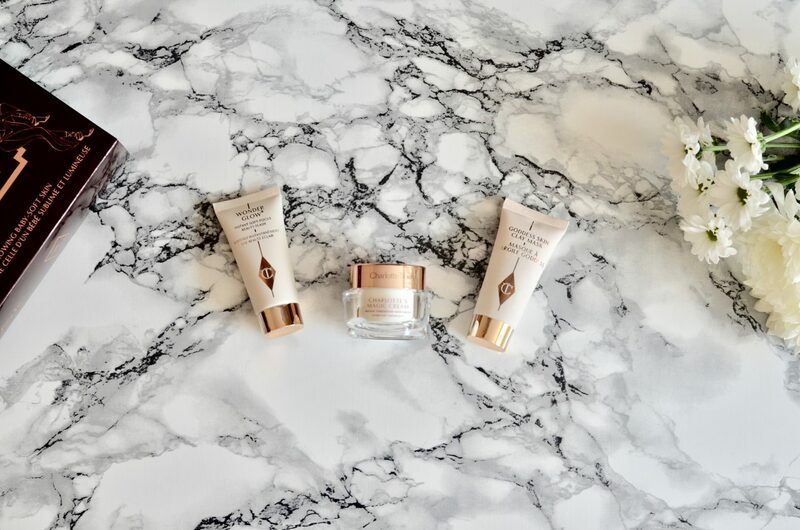 I have never used Charlotte Tilbury skincare and now I am going to give it a try. Dear Ting, I think you will love this Magic Cream, thank you darling for stopping by and have a fabulous week. 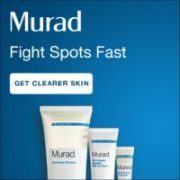 Nice post, I tried the Magic Cream, which was a product I really wanted to try from CT but sadly it didn’t work for me. Aww sorry to hear that Kayla, we all have different skin types so it just trial and error until we find the right one! Hope you found something that works for your skin hun. Thank you for stopping by and have a fabulous day. That packaging is soooo darling! Isn’t it just, and thank you. Oeh. These products look and sound great, I love the luxury packagings, and products named ‘magic cream and wonder glow’ just have to be brilliant! They worked for me hun and the packaging is just so cute! I haven’t tried any of the skincare products of Charlotte Tilbury. But I do love me a great mask. Will definitely be checking this out. Thank you for sharing. Dear Nikki, I would recommend trying it out, these travel size sets are perfect for that. Thank you darling and have a wonderful day! I love Charlotte Tilbury! This is such a cute gift set … except I wouldn’t want to give it as a gift, I’d keep it for myself ha! Haha I totally agree with you Allie, its too cute to give as a gift! I am glad my sister gave it to me. Thank you so darling and have a wonderful week a head. So glad to hear that Dominique and thank you! I’ll have to say that this product sounds amazing! I especially love anything that hydrates your skin and leaves a glow. And not to mention, smells good during the application. Definitely sounds like a must try and even a have. Thanks for sharing! I love CT products but I haven’t tried the clay mask yet! Is it green or white clay? I will try it asap, love clay masks! I would say that the clay is white with a hint of pink, give it a try an let me know what you think. What a great selection, lovely packaging too. Would love to try this myself. Thanks for sharing dear! Happy to hear that and thank you. i think blonde lace wigs https://www.youtube.com/watch?v=ovU7TuvxKA8 the products in wonderful, children here in the US appreciate them, ..i might like to invest in plenty a lot more, but my budget can not afford it right now..